Most offices are usually poor not to insult anybody. 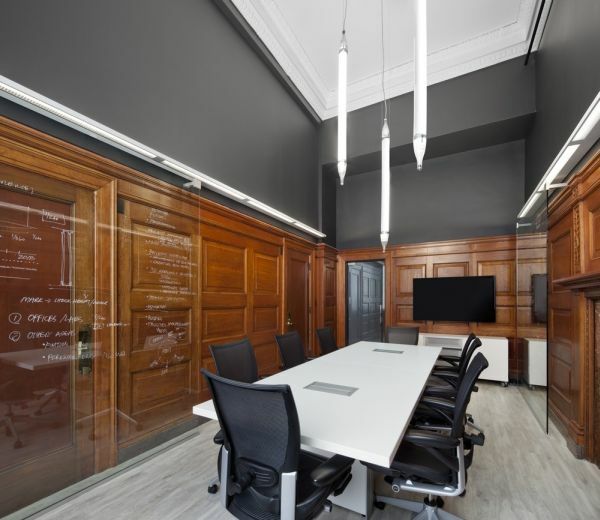 Office interior ideas are really necessary because most offices are usually poor not to insult anybody: people are seated next to each other, there is no privacy, so what to mention about the work quality under such circumstances? Somehow the view of the movies where the workers of a huge company are doing their job as aunts emerge in front of the eyes. 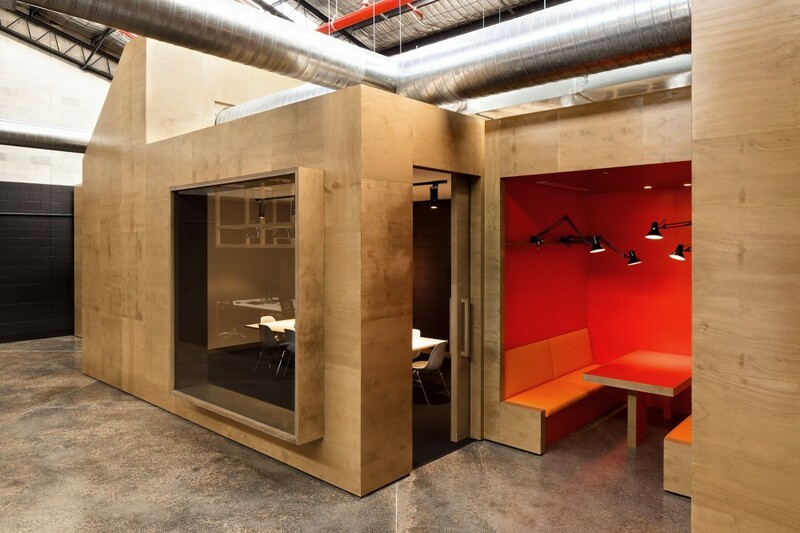 Of course, an interior of each office has to be different because of the job specifics: after all, the designer office will always be more creative than the lawyers. This time I would just like to share the ideas, how to create or refresh an office if you lack the ideas. And if you are not working in an office or aren’t related to it, maybe you’ll come up with the idea to use something at your home. I believe that in future I will also share and inspiring office interiors, but for this time – just single ideas from different offices. If an office is huge, it is going to have a lot of switches. 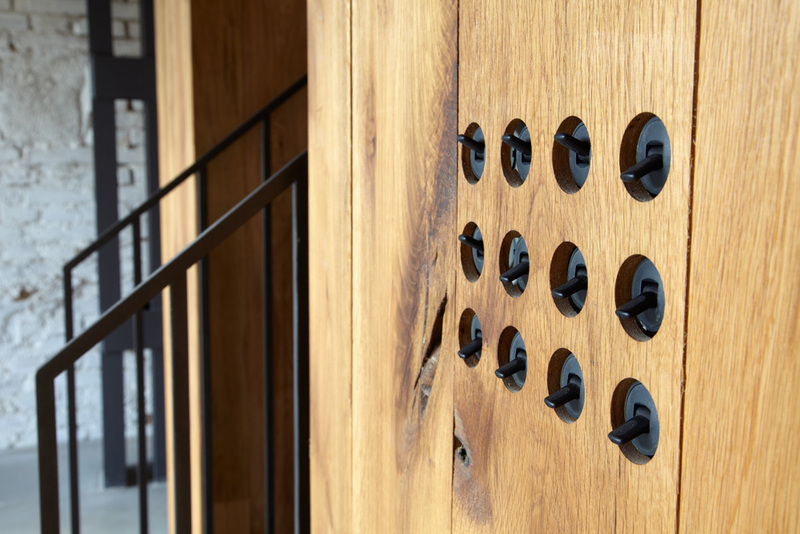 There is a solution, how stylish can the “gathering” of switches looks like…And it does not spoil a common image. 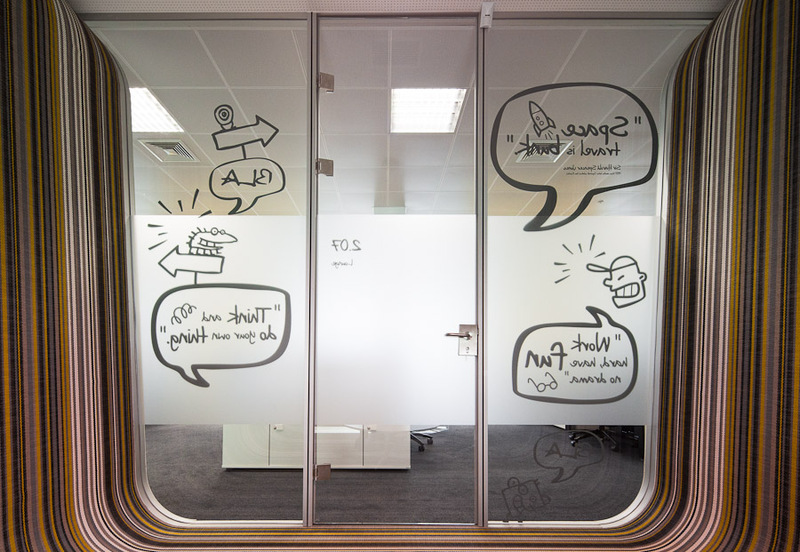 Playful notes and illustrations on the glass – not only makes a glass partition vivid, but is also a perfect link to the activities carried out in offices and so on. It's a business of each one’s fantasy how to use them. 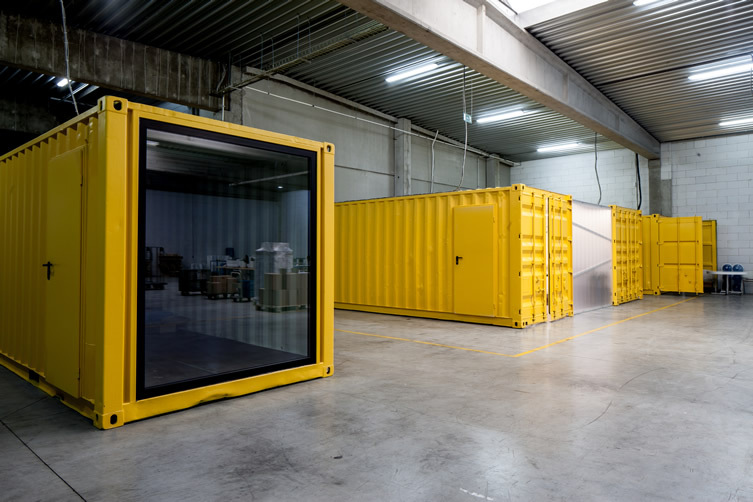 The appearance of “boxes” – a solution of the offices in abandoned areas or huge factories, which is becoming more and more popular. It's like a room in a room, but it looks really interesting, non-standard and original. The first version is indeed straightforward because the containers are used, but there is a huge amount of solutions which are much more subtle. 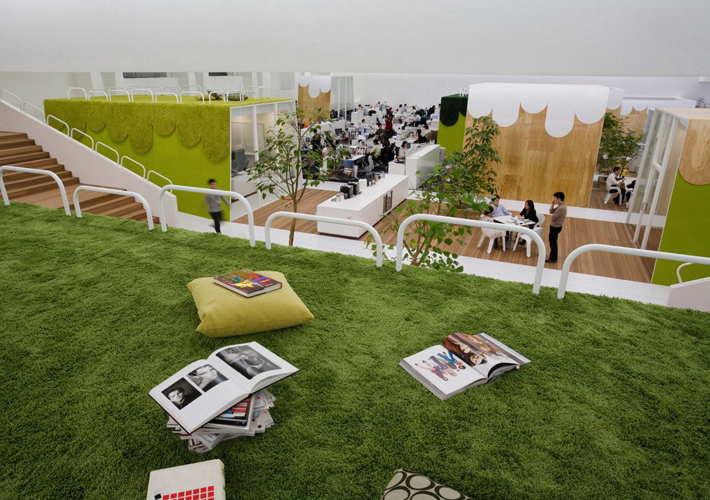 Instead of usual sofas for workers to have a rest or visitors to wait, you can use fake grass – carpet, which will make an interior much more vivid and will make your mood better. Isn't it fun when nature comes inside? I liked this idea very much and I have never seen the one like this! 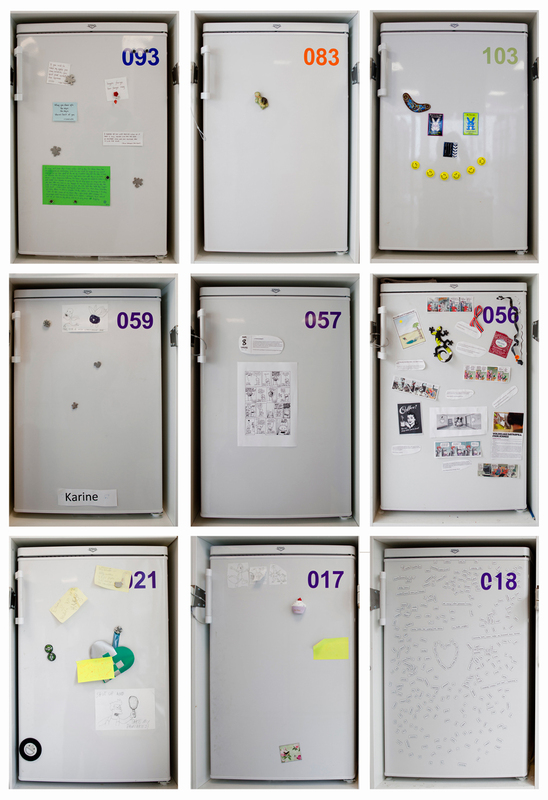 Each worker has his own mini fridge, numerated and marked personally as he or she likes. It is indeed a very comfortable solution from the perspective of the workers because you get at least a little piece of privacy, but not a very comfortable for employers because it takes quite a lot of space. Interior itself does not really appeal to me, but I really liked the idea that it's possible to write on the glass. 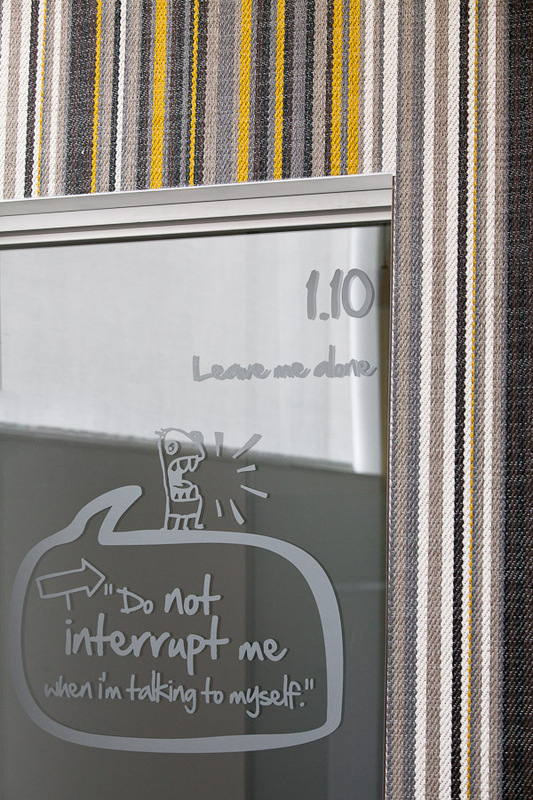 You don't need to clutter a room with papers and you can have a specific decoration of the door and an extreme comfort! Again we have a suggestion how the relaxing or sitting zones can look in a different way. Already seen “boxes” style, but there are some places for rest, talks and visitors there. 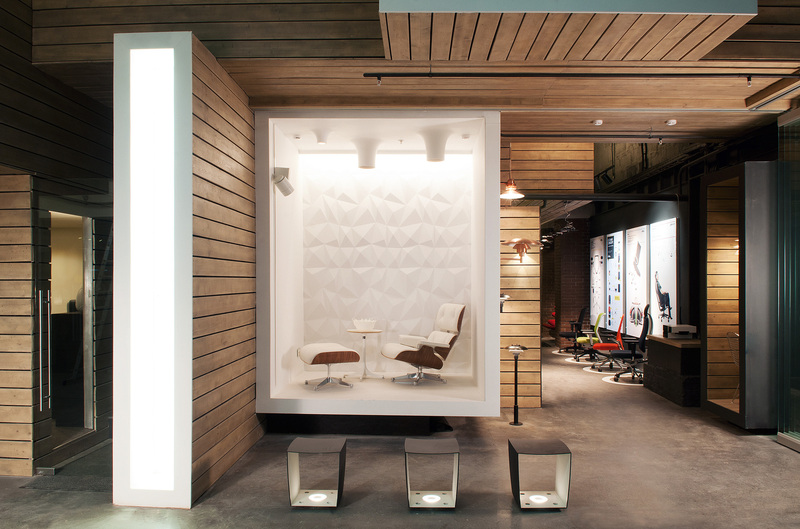 The space is not closed, half-open – a perfect accent for an office!